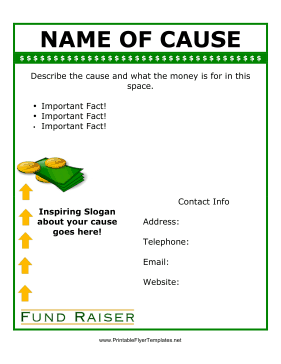 If you are in charge of advertising an upcoming fundraiser, this fundraiser flyer is exactly what you need. It includes a professional background with a monetary theme, as well as room for a slogan, facts about the cause, and contact information. Of course, this flyer has a green theme!